Russian consumers tend to go for the international brands that people know and recognise, because they trust them. If you want to sell in Russia, you have to have a strong brand, otherwise you’ll find the market pretty complicated. While it’s true that there is a Russian client profile for luxury products and high purchasing power, that isn’t the most common. If you had to choose 4 or 5, what would you say are the most important cultural differences between Russian clients and those of other nationalities? Broadly speaking, the main differences are related to the Russian language and alphabet, its weather, geographical location, lifestyle, religion, etc. Where customers are concerned, I’d say that Russians tend to focus a lot on a product’s brand (much more than customers of other nationalities) and also really consider the price before buying – they’re very demanding. Is there something you should never do when you meet a Russian? Turn up late to an appointment, not keep your distance or not seem serious or responsible. Russians really value punctuality and sincerity. When it comes to selling a product or service to a Russian client, I would say to act very formally, be punctual and give all the information you have on your product (both the good and the bad), in order to gain their trust. Russians like to compare and contrast every piece of information. They also really take other Russians’ comments and advice into consideration. Is there anything you can do to win over a Russian? I wouldn’t say that there are any huge differences between Russians and other Europeans. You have to gain their trust, like with anyone, and be friendly, straight-forward and sincere. If you do that and treat them to a good meal with some nice wine, even better! What do they think of foreigners? Foreigners are generally viewed quite positively, especially tourists. In Russia, is it better for a company to show that it’s foreign or try to seem local? I would say that Russians tend to trust foreign companies more than local ones. For example, they would rather put their money in a foreign bank than one based in Russia, or buy Italian shoes or a good Spanish wine. I think it’s better to show that you’re a foreign company and, if you have a well-known brand, then even better. 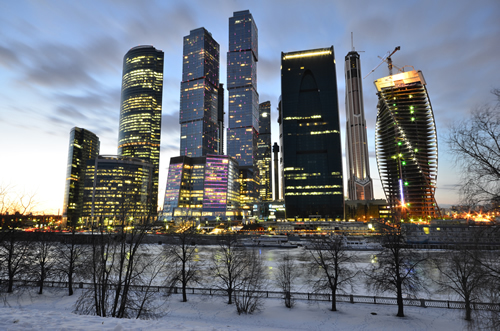 Can a foreign company really sell in Russia? What do you have to have in place, legally, administratively and in terms of tax infrastructure in order to sell there? Russia’s legal, administrative and tax requirements are very different and vary according to the type of product or service on offer. The products that Russia imports must be certified, and in order to export to Russia, you have to have signed a contract; Russian customs are usually very bureaucratic, etc. Also, these requirements can just change from day to day. If I’m not mistaken, in terms of financial services, PayPal doesn’t work there, right? What other similar options are there? What would you advise people to do when it comes to sending or receiving money? PayPal started operating with Rubles in the Russian market in September 2013, though there are other local electronic payment systems which are much more popular, like Yandex Money or WebMoney. The raised commission that Russian banks usually charge, coupled with people’s lack of trust in electronic payment systems, means that a lot of the time, Russians would rather pay in cash (cash on delivery). In Russia, it is also really common to pay using terminals (like Qiwi, for example), which can be found on the street, in shopping centres, etc. So, briefly, how do Russian visas work? Visas are documents which are kept in a person’s passport and serve as authorisation for entry into, stay in or transit through the territory of the Russian Federation for citizens of other nationalities. If you’re from outside of Russia, you’ll need a visa in order to travel there, be it for tourism, business, study, work, etc. The quickest way of getting a visa is via the Russian Visa Centre, a private entity authorised by the Russian Federation. In order to do this, you’ll need to fill out an application form and bring the necessary documentation, i.e. your passport, proof of health insurance for the duration of your trip, a letter of invitation and proof of payment of the relevant fees. In any case, a lot of people choose to go directly to their travel agents, so that they manage the whole procedure. It’s more expensive, but the agency does everything. Do you need to have a Russian contact/partner in order to be able to sell there? It’s always better to have a local Russian partner, given the huge cultural differences. And finally, do you have any advice for someone who wants to set up a branch office or business in Russia? Before deciding on the Russian market, you should know it inside out and, above all, be extremely patient. Results may take time. Also, Russia is very unstable in terms of its economy and politics; you have to think about its ongoing military conflicts. You have to have a lot of stamina in order to succeed in the Russian market. Thanks for your time, Irena! Until next time! 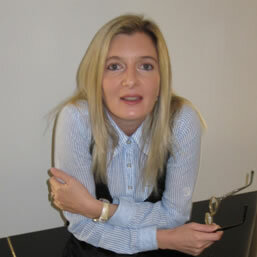 Irena Domingo, born Russian but Spanish at heart, is an interpreter and translator of Spanish and Russian. She runs a blog in Spanish (rusalia.com/blog), which has loads of useful information for anyone looking for help on the expansion of their business in Russia. 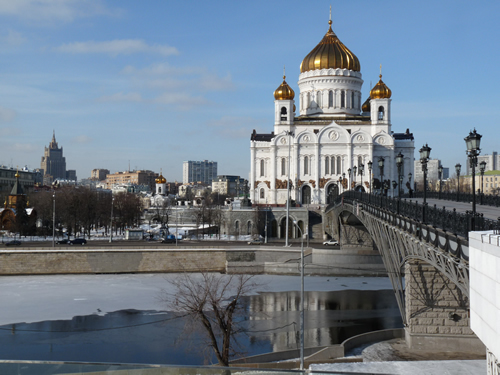 If you need help with Russian translations, Mondo Agit offers both translation and certified translation services.